I love projects that start out with me wondering "how far will this yarn get me?" 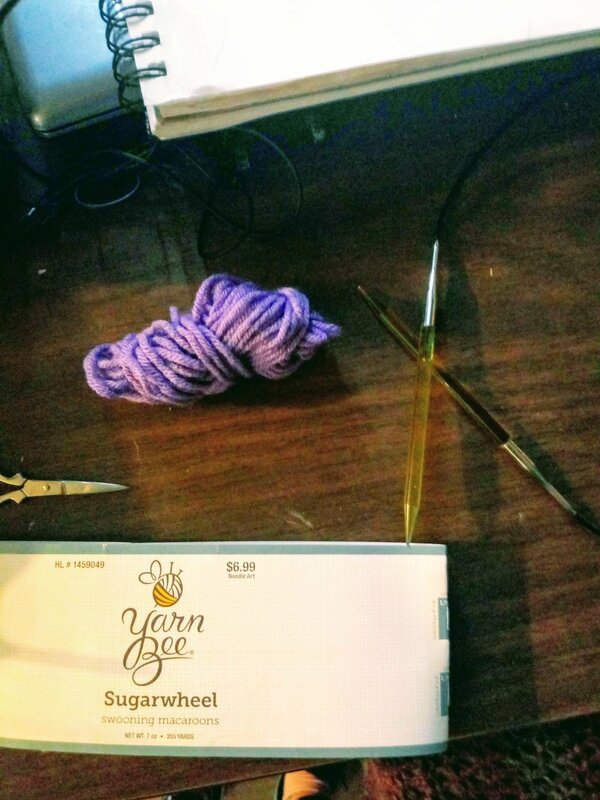 I bought 2 cakes of Yarn Bee's Sugarwheel and played around crocheting with it but decided this was definitely something I wanted to knit with. I always had the idea in my head that knitting takes up less yarn than crocheting but after I worked with this in both mediums I don't quite believe that it's true. I love the classic look of the garter stitch but I wanted to find a way to make my yarn "stretch". After a little bit of research I found this "drop" stitch and it was just what I needed! Now I'm not actually dropping any stitches (hence the quotations), but instead you are adding some yarn overs and then slipping them off the next row making some lovely elongated stitches. 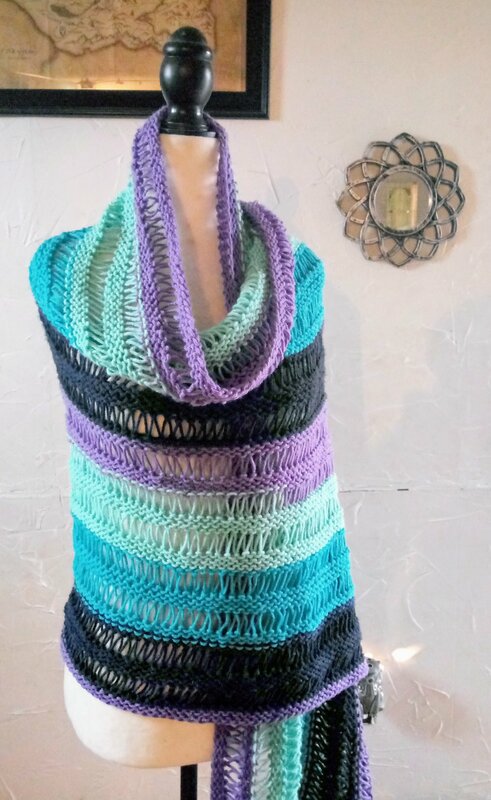 The wrap measures 24" in width and 60" in length, so you could use just one cake of yarn and get a pretty wide scarf. Row 7: (K1, yo twice) across. Repeat rows 7-13 13xs or to desired width.